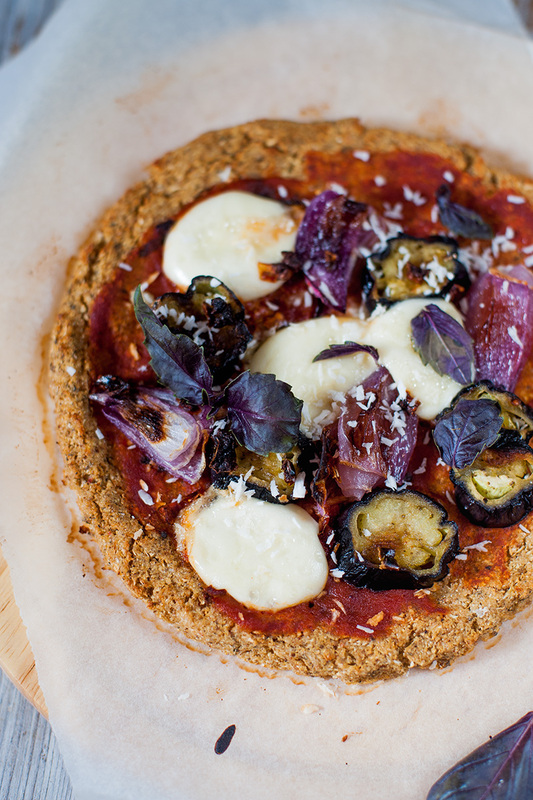 Cauliflower Crust Pizza – What's for Dinner Moms? One of the biggest things that puts people off from following a more gluten-free diet is that they fear they won’t be able to find ample replacements for things they love, like sandwiches, pasta and pizza. However there are just so many brilliant recipes out there that more than compare well to their original counterparts. I’ve made beautiful portobello burgers, coconut flour waffles, and zoodles (zucchini noodles) all using non gluten-based ingredients. 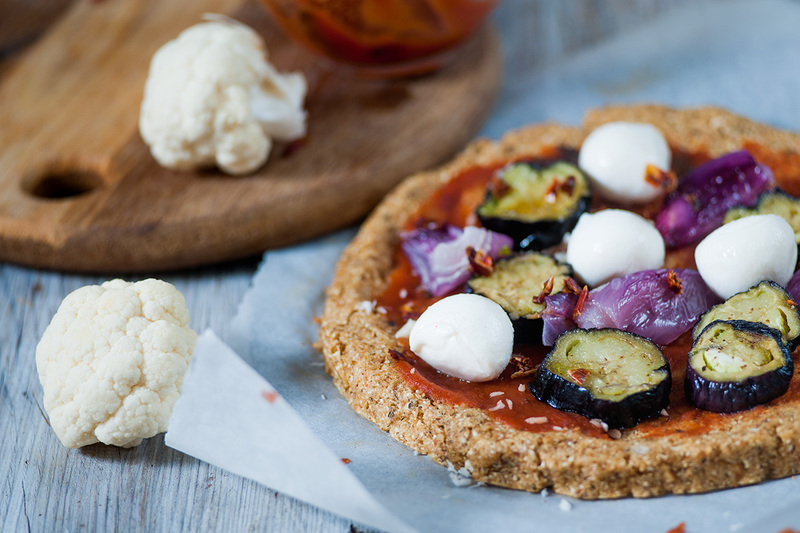 This wonderful recipe makes great use of cauliflower and almonds to create a crunchy gluten-free base, all finished off with a mozzarella, aubergine and tomato topping. 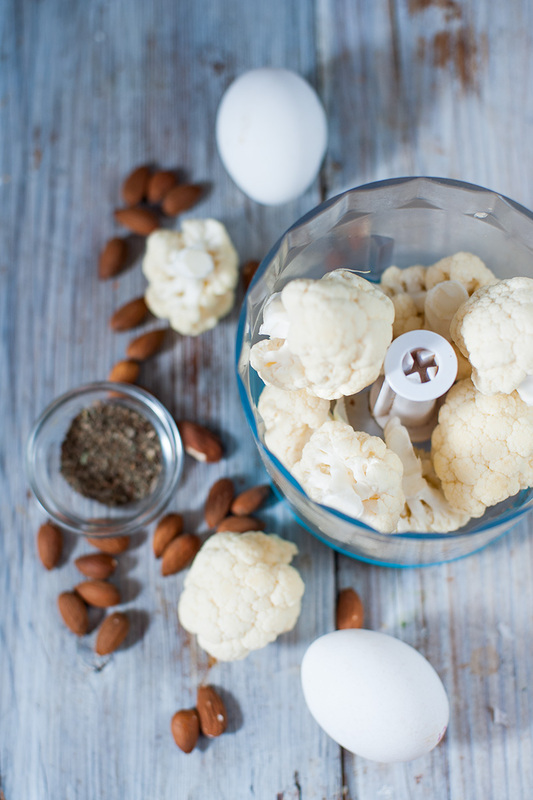 Be sure to let me know what you think of it, and if you have any creative topping ideas to match with your cauliflower base. Strip and discard the leaves from the cauliflower, and trim the stalk end. Cut the cauliflower into chunks. Put half of the chunks in a food processor and pulse until very finely chopped. Move the cauliflower pieces to a bowl, and then repeat with the other half of the cauliflower. Once all the cauliflower is in the bowl, cover it with plastic wrap. Microwave on high until softened, about 5 minutes. Remove plastic wrap and leave to cool for a few minutes, until cool enough to handle. Wrap the cauliflower in a dish towel and then squeeze as hard as possible. Try to get as much water out of the cauliflower as you can. Transfer to a new bowl. Add egg, almonds, oregano, salt and pepper. Combine ingredients until mixed well. Line a baking tray with parchment paper. Grease with cooking oil. Place the cauliflower mix in the center of the tray and use a spoon to spread it out into a 10-12” pizza shape on the tray. Be sure to make it a bit thicker around the edges to help create a crust-like effect. Put in the preheated oven and bake until golden brown and only a little crisp on the edges. About 15-20 minutes. Once baked, set to one side. While the pizza base is baking, heat up a griddle pan on a medium heat. Brush the aubergine slices on both sides with a little oil and cook in the pan for 2-3 minutes on each side. Cook until softened and slightly charred. It’s likely you’ll need to do these in batches, so have a plate at hand to place the cooked aubergines onto. Do the same process, including brushing with oil, for the onion wedges. This time cook in the griddle pan until softened and charred, about 5-8 minutes. Now onto the tomato sauce. In a blender, blend the tomato purée, canned tomatoes, and garlic. Add in a dash of salt of pepper. Blend until smooth. Pour the mix into a small saucepan. Bring to a simmer and cook until thick, about 10 minutes. Stir in half of the basil. With the cauliflower base set to one side, increase the temperature of the oven to 420°F/220°C. Spread the tomato sauce with a spoon over the base. Sprinkle over the parmesan, and arrange the mozzarella, cooked onions and aubergine on the base. Top off with chili flakes. Be sure to leave the crust uncovered. Put the pizza in the oven for about 10 minutes. Remove from the oven and top with more parmesan and basil leaves. This sounds really nice Marci! Thanks for introducing us! You are welcome! His pictures and dishes are great! Thank you! I hope you will go over and give his blog a like too! Yummmmmy..I love cauliflower cheese bread too..so good. A lovely recipe share, Marci. This look yummy. I’ve seen a lot of recipes with Cauliflower, only one I’ve tried is the Cauliflower stuffing which was Ahhh-Mazing! Ooo, that does sound good! I found the recipe on one of those Facebook videos. It was really good, you should try it.